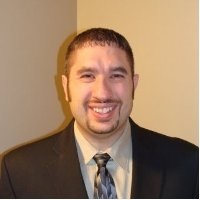 Josh Smith, MSW, LMSW, is the co-owner/founder of The DBT Center of Michigan, PLLC in Jackson, Michigan. This center provides extensive and comprehensive DBT treatment as well as EMDR. Josh received his 10-day Intensive DBT training in 2004 from Behavioral Tech, LLC, a company founded by Dr. Marsha Linehan. He has trained and spoken to numerous agencies, universities and hospitals in DBT. Josh has had tremendous success at modifying and implementing DBT skills training for adolescents and their family members. He also specializes in Aggression Replacement Training (ART) for oppositional and anti-social youth. He is currently doing research on the efficacy of implementing EMDR with DBT.